February | 2011 | can i just finish my waffle? The legendary rock ‘n’ roll musician’s final wishes for his family — along with his music and estate, worth an estimated $6 million — are now up for debate. And the answer depends on whom you ask. The 12-page will is filed under his real name, Ellas Otha Bates McDaniel. He seemed to attempt to avoid disagreements over his estate by including a phrase that anybody attempting to break the will would be disinherited, but some say that is not enforceable in Florida. Read local coverage of his will and his family. 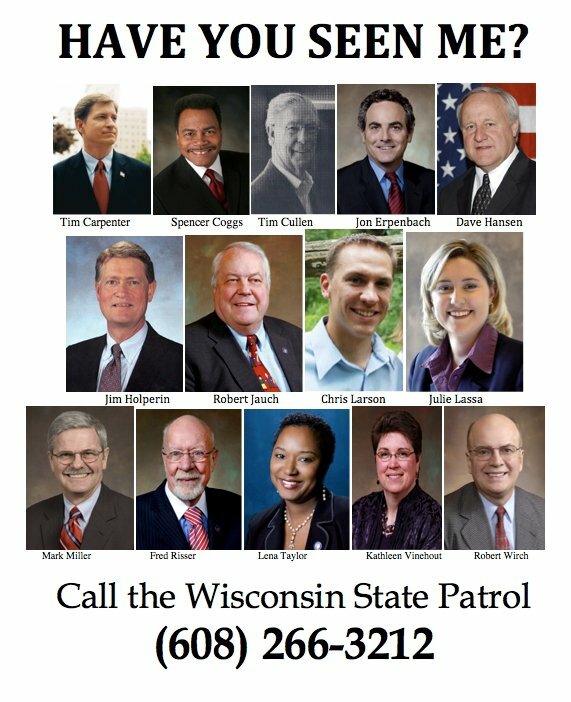 …..at about 71 years of age, with Tom Petty…..
Have you no shame, Wisconsin democrats? Cowards! Running with tail tucked between legs comes to mind. Message: If you don’t get your way, run and hide. Not a good message for the children of the nation. Troopers dispatched to their homes. Do you believe the president has the power to declare a law unconstitutional? Or that the attorney general has the power to decide not to enforce a law? Well, it may be just fine if you agree with the action. You may even cheer the fact that the president and the attorney general have violated the separation of powers in the constitution in this instance as regards DOMA. BUT the problem with this is the next president may just decide on a whim something you don’t agree with. Do we honor the constitution or don’t we? Where is the massive condemnation of Obama and Holder for this bold move? Where is the press? We have no press in this country. “Much of the legal landscape has changed in the 40 years since the Supreme Court created a so-called ‘right to privacy,’ which has no constitutional basis and no tangible form,” Levin said in a statement. He noted that various Supreme Court justices have previously ruled that laws authorizing the taking of the life of an unborn child are unconstitutional and that Congress has forbidden the federal government from paying for abortions. Levin wrote to House Speaker John Boehner, R-Ohio, that Palin has concluded Roe v. Wade fails to meet a rigorous standard under which courts view with suspicion any laws targeting minority groups who have suffered a history of discrimination. “The unborn, perhaps the most vulnerable minority group in history, have a severe history of discrimination,” added the new attorney general. Oddly enough, this same president ignores the fact a federal judge has declared Obamacare unconstitutional. Impeachable offense? Where was our alleged president yesterday? The country is in turmoil, four Americans shot and killed by Somali pirates, and Kadhafi threatening to blow up gas lines in Libya. Nothing much happening here that would require a president of the United States to address or focus on or provide some leadership on. Nah. Nothing at all. He and “members of the Cabinet” are “having fun” at some break out session in Cleveland, Ohio. They had so much fun they are going to do it again. The unusual show of political muscle includes Treasury Secretary Tim Geithner, Commerce Secretary Gary Locke, Labor Secretary Hilda Solis, Energy Secretary Steven Chu and Austan Goolsbee, chairman of the council of economic advisers, who is not a Cabinet member but has equal rank. Karen Mills, head of the U.S. Small Business Administration and Gene Sperling, Director of the National Economic Council, will also participate. Obama opens the Cleveland forum, titled “Winning the Future,” [WTF Forum] and then will send the invitation-only participants into small groups. Mills will lead a discussion on entrepreneurship; Geithner will lead a meeting on how small businesses can access capital; Solis will convene a discussion on workforce development; Locke will oversee a meeting on how to improve exports for small businesses; and Chu will lead a discussion on clean energy. And, of course, they had to fire up Air Force One for the trip at a cost of at least $68,000 an hour. Picture, if you can, the president of the United States AND key members of his cabinet in break out sessions in Cleveland, Ohio, while, Not Rome, but the world burns. This is what we get for electing a community organizer for president. Here’s the whole speech, but it’s not worth the trouble to read. A survey released by Gallup Tuesday indicates that in 2010 a smaller proportion of voters across the country identified as Democrats. Results reflect a continued trend among southern and Appalachian voters, but the shift is most particularly pronounced in swing states of the Midwest, in the New England states of Maine and New Hampshire, and in Nevada and Colorado. 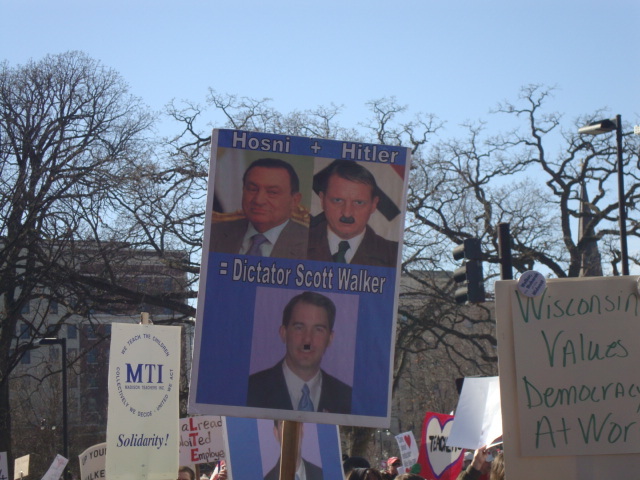 Why won’t the media report on the vitriol from the union protesters in Madison? 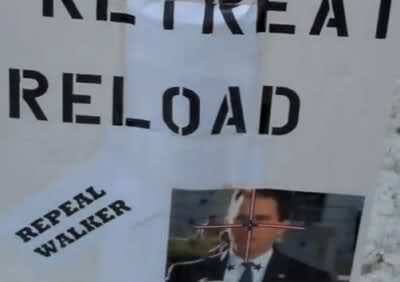 Hillbuzz asks: Why won’t the media report on union thugs who tried to destroy the sound system at yesterday’s anti-union rally to support governor Scott Walker? – See Video. Good question. But easy to answer. Because the media in this country is corrupt. They don’t actually report anything, as is commonly thought of as reporting, such as investigative reporting. They just look on their computer and read what Media Matters or the white house sends them to report. Do you think for one minute that, when Tucson happened, the major assault on Sarah Palin, Rush Limbaugh, talk radio, and the tea party was not a plan that was already in place to use anything they could find to give alleged president Obama his Oklahoma City moment? It’s easy to spot, because within hours of the incident it was the talking point, it was their focus, on all networks and with the intensity to drive it into the minds of the people that because some mentally sick person murdered people, it had to be caused by the right or by talk radio. 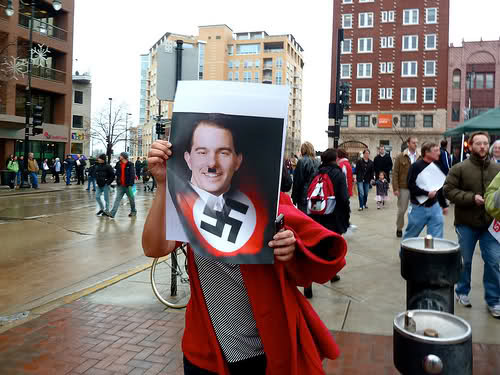 It is absolutely absurd to entertain such a thought anyway, because if “vitriol” caused violence, God help us as to what is going to happen from the violent rhetoric and signs on display by the union and the left wing thugs (and teachers, let’s not forget the teachers) in Madison, Wisconsin, for the last week. Better get the medics and the ambulances and the hospitals standing by.